Planning Your Wedding in the Mountains? Here’s all the information you need to plan – and enjoy – your special day! You do not have to be a resident of North Carolina, however you must have proof of age and your social security card. If you are under 21 you have to have a certified copy of your birth certificate, your Social Security card and a picture ID. If you are over 21 you just need your Social Security card and a picture ID. Licenses are valid if issued in any county of North Carolina; however they must be returned for filing to county of origin. If previously married, the date of divorce or date of spouse’s death must be supplied. If the divorce was within 90 days, a signed copy of the divorce decree will need to be shown. 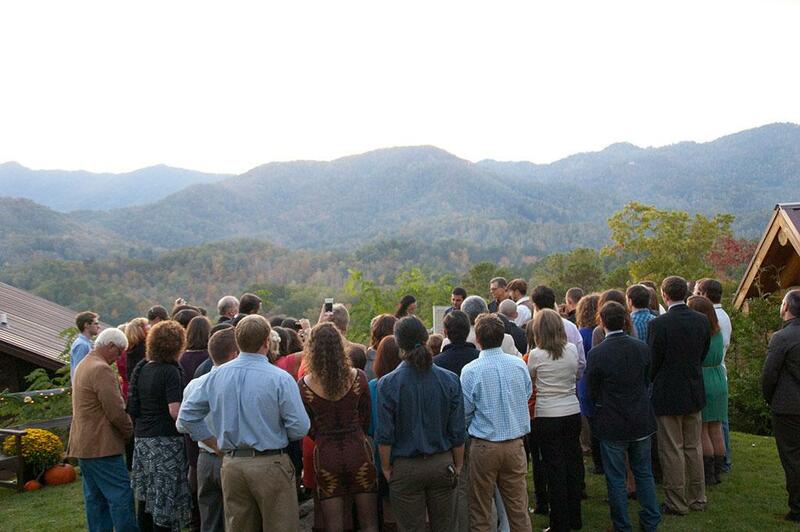 Weddings in the Great Smoky Mountains National Park require a special use permit and a small fee. 50 locations to choose from. Learn more and view video. 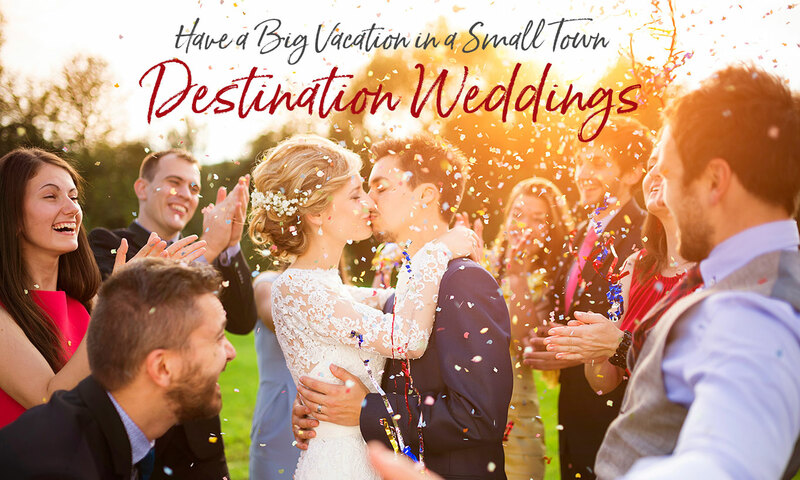 Click or tap a category for a list of Bryson City wedding services. A family friendly church in the heart of the Great Smoky Mountains. Service Times: Sunday School - 9:45am. Morning Worship (Sun.) - 11am. Evening Worship (Sun.) - 7pm. Evening Worship and Youth Classes (Wed.) - 7pm. We host weddings here year round at Harmony Hall located creek side on our 80 acre grounds. The Hall has indoor seating for up to 60, however many weddings expand to the meadow outdoors for larger events of 100 plus. There are 19 cabins in a variety of sizes and settings with individual sleeping arrangements of 2-14 depending on cabin with a total sleeping capacity of up to 120 plus. Jackie has extensive experience as a bodywork therapist, yoga practitioner and teacher. With the perfect synthesis of the art and science of massage therapy, Jackie uses an interesting blend of bodywork styles. Her work is skillful, compassionate and intuitive and truly embodies the body, mind, spirit approach to wellness. Nationally certified since 1999. 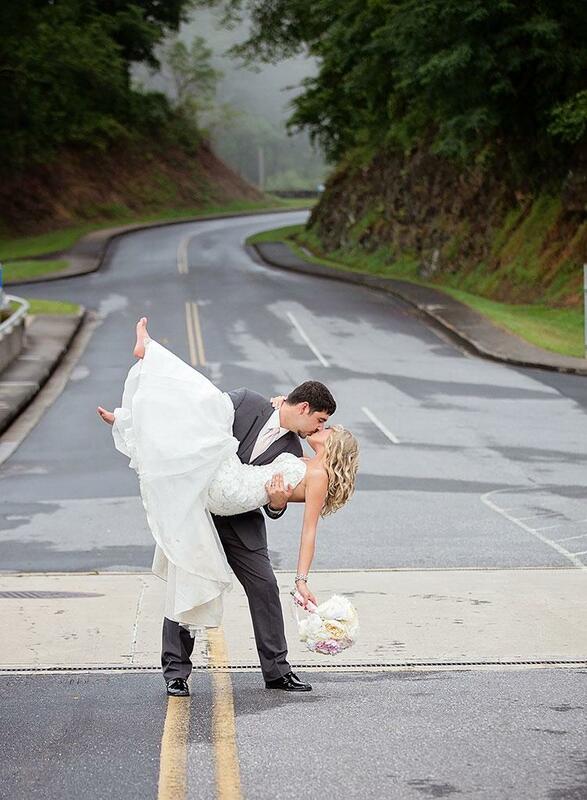 At Fontana Village Resort, your picturesque wedding nestled in the Great Smoky Mountains awaits. Whether surrounded by lush forest or gazing over pristine Fontana Lake, Fontana Village can set the scene for your perfect wedding. Let the Fontana Event team help you plan your dream wedding today. Address: 500 Cold Springs Rd. Old fashioned bible believing church with a mission to reach the community. Services are held on Sunday at 10 am and 6 pm, on Wednesday at 7 pm. Everyone is welcome to come and worship with us. Address: 95 F Slope St.
La Dolce Vita Bakery is a farm to table dessert bakery. We specialize in custom order cakes and cupcakes made from the best local ingredients. We will have a variety of desserts and specialty desserts available daily. Now serving fresh Italian gelato daily! Pet friendly outside seating. Our wedding venue sits atop the Nantahala Gorge with views of Fontana Lake, the Nantahala National Forest and the Great Smoky Mountains National Park. Surrounded by rhododendron and mountain laurel and bordered by a creek and pond, this venue is perfect for every season. The package includes the entire Falling Waters Resort, including two nights lodging for up to 60 guests, as well as event areas, which can accommodate up to 200 guests. Open Tuesday through Saturday 11am-8 pm. April 1 through November 1. Open extra days during July and color season. Hickory smoked pit BBQ made on the premises. Pet friendly outside seating. 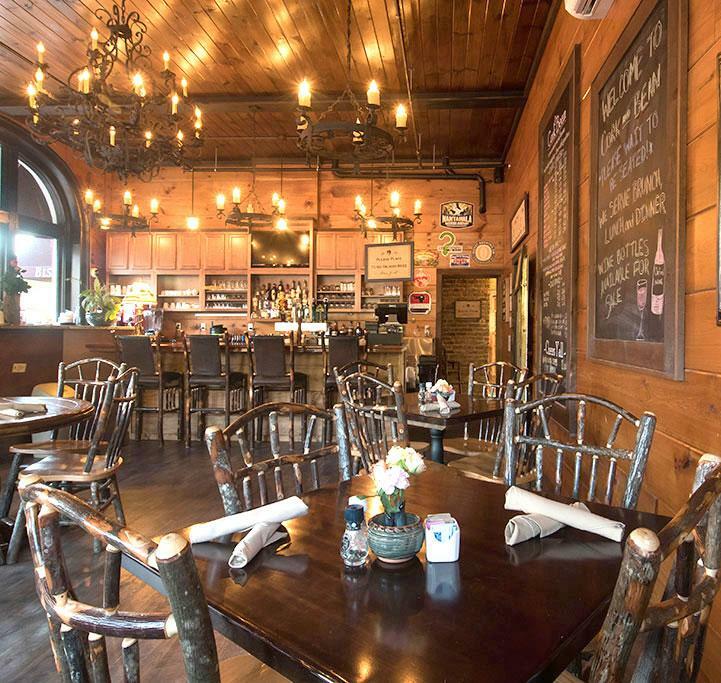 Enjoy classic Italian favorites served in a rustic yet refined atmosphere. Full lunch and dinner menus with daily evening specials. Full bar and extensive wine list. Catering available and larger groups are welcome with reservations required. From invigorating, naturally inspired facials to deeply exfoliating and detoxifying body treatments, stress-stripping massages and un-fussy, unwinding yoga classes; whatever truly relaxes you is waiting at the Lakeview at Fontana Spa. Come for the night, or simply spend a day in our spa. Featured in Southern Living magazine. Call today to make an appointment. Full service salon for the entire family, with walk–ins welcome. All hair treatments available, as well as manicure and pedicure services. Spa offerings include: facelift massage, body massage, couples massage on Saturdays, and a sauna. Wedding hair and make-up services available onsite or at your venue. As your "Ceremony Coordinator" I will be with you from our first meeting, to the rehearsal, to your big moment of celebration. Your wedding day is one of the most special times in your life, and your loved ones will enjoy a custom ceremony that expresses your love unlike any other wedding they have experienced. Serving this area as a legally ordained Minister & professional Wedding Officiant by the guidelines of North Carolina since 1994. Fresh made to order sandwiches, salads, soups and desserts, and outstanding customer service make High Test Deli & Sweet Shop your first choice for quality dining in Bryson City. Limited outdoor, pet-friendly dining as well as indoor dining room and take out/delivery. Monday-Wednesday, 11am-4pm, Thursday-Saturday, 11am-7pm, closed on Sundays. Pet friendly outside seating. The Folkestone Inn can host outdoor weddings, elopements or vow renewals for up to 75 guests in the garden, side yard, or front lawn; or in case of bad weather in the parlor. The Inn has 10 guest rooms, (2 can sleep 3 people) for a total of 22 guests. We can assist you with arrangements for overflow. 2-night minimum stay required. Address: 137 W. Watershed Rd. 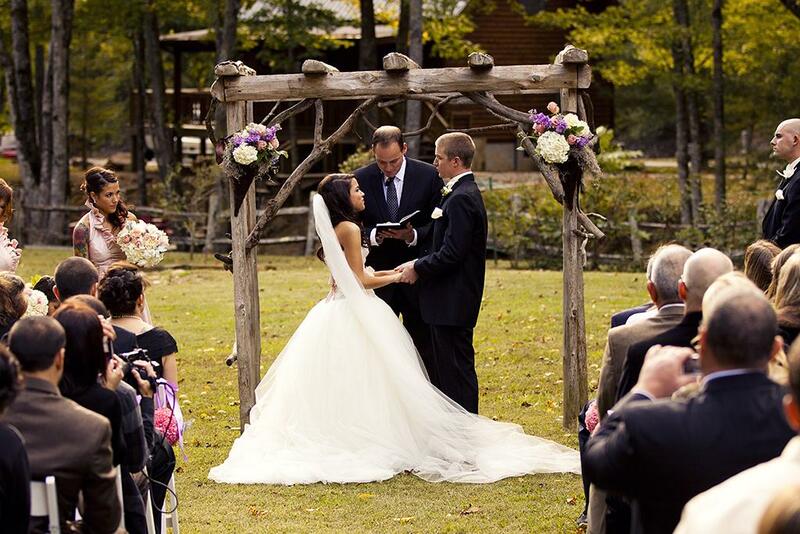 The Watershed Resort can host weddings up to 100 guests. Accommodations on-site range from one-bedroom attached “Treehouses” up to 4 bedroom single-family log homes. Outdoor event venues include our main “Yard” area with excellent sunset view; our Eco-Park area with trout pond, waterfalls, and mountain laurel bridge; and our Woodland Loft trio, with a central fire pit area perfect as a small-party venue. Licensed massage and Bodywork therapist located in downtown Bryson City. Offering Swedish, deep tissue, sports and medical massage. Open Monday through Friday, and Saturdays with advanced notice. Call for an appointment! Address: 1127 Franklin Gove Church Rd. Family and community focused non-denominational church. Numerous activities throughout the year to recharge the body and spirit. Special groups for all ages. We're a local Bryson City florist specializing in courteous, professional service and the highest quality floral and gift items to be found in the region. Open Monday thru Friday, 9am-5pm, Saturday 9am-12pm. Address: 911 Galbraith Creek Rd. Hemlock Inn offers “Weekend Wedding Destination Packages”. 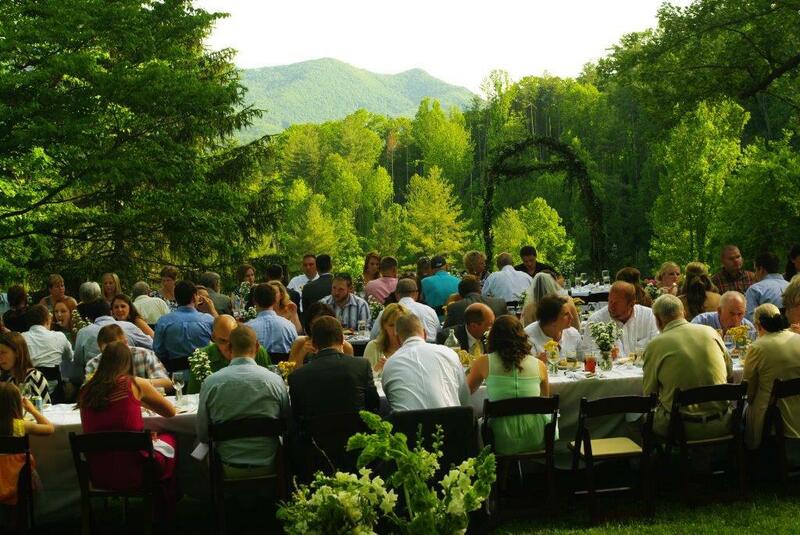 The package includes a two-night stay at our rustic 26 room mountain inn located on 57 wooded acres, rehearsal dinner, wedding dinner, and two breakfasts. The outdoor wedding overlooks a beautiful mountain view. Meals are wonderful, bountiful home cooked southern/mountain delights. It’s all about the view, the food, and a memorable weekend.